every dog deserves to look, feel and smell great, naturally! "The health and conditioning of my dogs start with their food and as Four Friends’ food contains aloe vera it naturally helps to prevent illness and gives them the best start to the day." 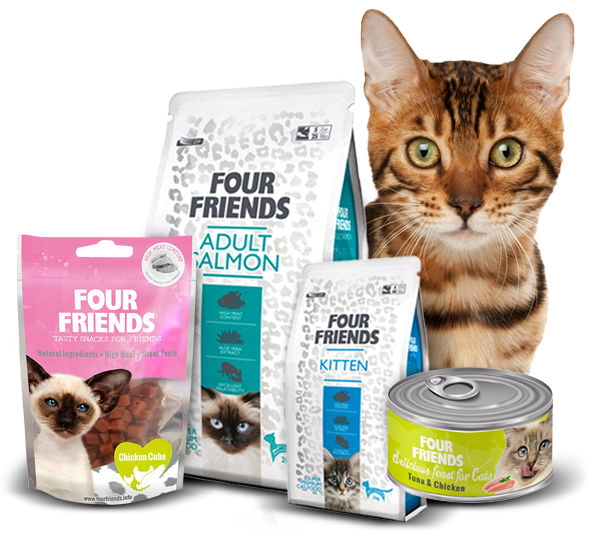 FourFriends complete cat food has a range of eight foods from Kitten through to Senior. Naturally preserved with vitamin E and free from chemical preservatives. All complete ranges have Aloe Vera extract in the recipe, so your cat will benefit from the numerous health properties the natural supplement offers. "Aloe Vera is great as an anti-inflammatory. Being rich in minerals like calcium, magnesium, zinc, iron, selenium and potassium it is excellent for the skin and coat." Includes sources of prebiotics with the addition of mannan-oligosaccarides and frukto-oligosaccarides, together with fibre from apples to makes the food mild. Added Aloe Vera helps the immune system, preventing illness and giving a positive effect on the overall condition of your dog. 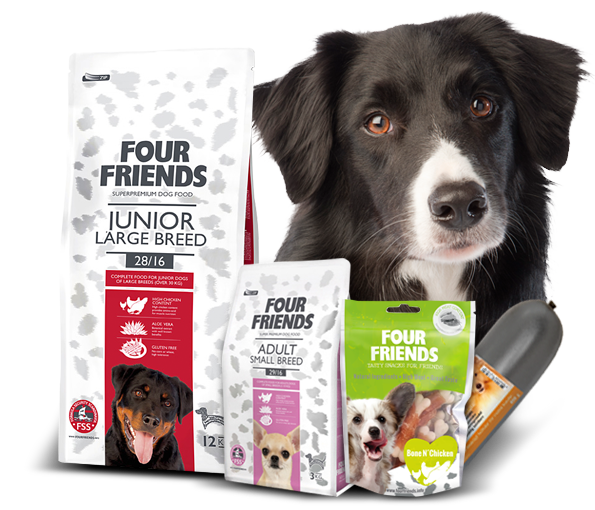 "Our food helps the immune system, preventing illness and giving a positive effect on the overall condition of your dog"